–My good friend on Britney Spears’ only Grammy award winning song, Toxic. I couldn’t possibly agree more. The much anticipated return of Christina Aguilera has come upon us. Her last album “Back to Basics” was widely praised for its throw back sound and look. It also continued to prove that Miss Christina was one of the most talented and flexible women in the game. Bionic, at least from my personal reading, has not received nearly as much praise. The album has been accused of everything from peer pressure and copying other artists to shallowness and vocal downplaying . You know what I think? Those people haven’t listened to this album, at least not in it’s entirety. Although she returns to a Dirrty electro-pop sound, it sounds like nothing that is out there. It sounds like stuff that exists and has healthy inspirations from other artists (as all music does). 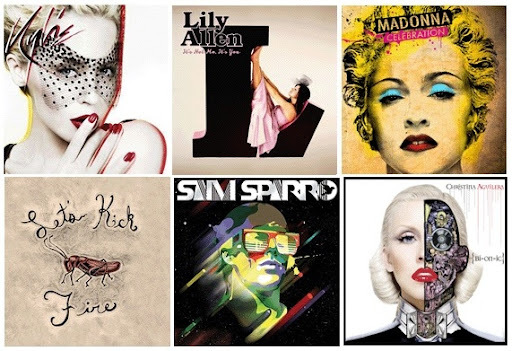 Bionic is more than futuristic, techno sounds. The album delves into Christina’s new self of the moment, as every one does. It details a new piece of her soul that has come about from her marriage and her newborn child. That changes a woman and Christina tells us in the way she knows best, through song. The album is easily divisible into two parts, the fast and the slow. The dance and the self reflection. The machine and the woman. The move between the two is both refreshing and jarring and ultimately tells a story. After yesterdays post, I’ve been on quite the rampage. Things are getting easier and easier…. Miss Stefanie Germanotta has taken over the world. Much the same way her pop predecessors have for almost 50 years now. You’d be hard pressed to find anyone who has not heard of or seen Lady GaGa. Her rise to stardom was quite quick and she is best known for her unique sense of style both on and off the stage. People become excited to see the latest creation by the Lady and her Haus of GaGa. Indeed she has taken avant garde fashion to a level of visibility unseen in recent years. Some however are content in giving Team GaGa all of the credit, especially her most outspoken supporter Perez Hilton. Perez sees no fault in anything GaGa does and will support her to know end. No doubt he even credits himself for her success. There’s no doubt that GaGa (and many others) acknowledge this fact to some degree. However, his unwavering support has crossed the line into rabid attacks and defense in her honor. The most recent victim? Christina Aguilera. Perez has already gone ahead and declared Christina’s tour a potential failure due to poor showing on the iTunes chart. Not only is her barely month old song a failure but she is nothing but a copy cat artist with no creativity or prior achievements. Perez is correct in saying that a lot of elements in Christina’s new video are similar to things we’ve seen before. There’s some “Human Nature”, “Bad Romance” and “Toxic” among other things. But the assumption that one single person invented them and owns them is not only short sighted, it completely ignores 50 plus years of pop culture and what it stands for. Pop culture has always been about taking an existing thing and reinventing it for a new purpose or message. Let’s take a pop culture history tour shall we? The long anticipated Tague - Mercier summit of 2019. Glad to have finally gotten the families together after all this time. I never thought I'd be celebrating this milestone but I have fully paid off my student loans!!! That heavy weight that burdens so many of us is off my shoulders. I wish I could say I kept the belt tight, invested well, and did it responsibly. The truth is it wouldn't have been possible without the support of my parents. That's a #10yearchallenge I can be proud of nailing. Also I'm still beautiful. To the next 10 and beyond.